There is nothing quite like the solitude of Voyageurs National Park in the dead of winter. The tranquility is apparent from the moment you step out of your car and into the wilderness. It’s quiet, but the lack of commotion doesn’t take away from the outdoor recreation opportunities you can experience in this neck of the woods. Winter is one of the best times to explore Northern Minnesota, so we want you to know all about the top Rainy Lake winter activities available to you when you visit. Read on to plan your escape up north. Fire up your engines and zip around Rainy Lake on a snowmobile expedition like no other. Voyageurs National Park is home to over 100 miles of groomed trails with views of dense boreal and hardwood forest throughout. Jet across the lake (at a top speed of 45 MPH) and take in the serene atmosphere. Designated portages permit snowmobiling off the water, so take some time to slow down and appreciate the surrounding natural environment. Rainy Lake’s mix of lake and land snowmobile trails will make you remember why you bought your sled. Looking for a long-distance snowmobile destination? You don’t have to stick to the immediate area on your trip — several major trails connect to cities like Ely, Hibbing and Virginia, Minnesota. There is no better way to get an up-close view of beautiful Northern Minnesota. Looking for an expedition that provides a great workout? 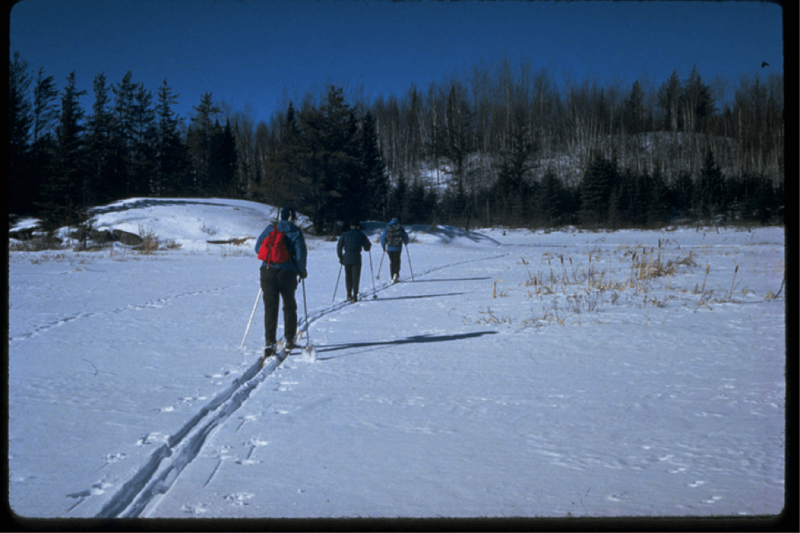 Consider snowshoeing or cross country skiing at Rainy Lake. Sure, it’s not the fastest way to get around — but it gives you the chance to take in your surroundings at your own pace. Don’t have a set of skis or snowshoes? Just stop in one of the Voyageurs National Park Visitor Centers to pick up some rentals. Once you find a pair that fits, be sure to bundle up. The still winter air at Rainy Lake can be as dangerous as it is enchanting without the right precautions. Simplify navigation by taking along a detailed map of the area. You may decide to begin exploring at the easily-accessible Black Bay Ski Trails. Just head to the Rainy Lake Visitor Center at the southwestern section of the lake and journey across the ice road to the Kabetogama Peninsula. Here, you can trek over six miles of trails on beginner and intermediate-level loops. Rainy Lake offers some of the best fishing throughout the year, and winter is no exception. When the lake freezes, anglers can easily drive onto the lake and drill a hole that opens up incredible fishing opportunities. The most popular way to fish Rainy Lake during the winter is to start at the Rainy Lake Visitor Center and drive on the ice road that runs parallel to the north end of the Kabetogama Peninsula. Another stretch starts at Lake Kabetogama and runs nine miles to the Ash River Visitor Center. Whichever road you plan to take, be sure that the ice is thick enough to drive on before heading up to the lake. Whether you’re renting an icehouse, setting up your own, or are content with just parking the car and drilling a hole, the quality of fishing below the surface is world-class. Walleye, trophy northern pike, crappies and more are just waiting to be reeled in for a winter fish fry. The population of northern pike and walleye astonishes many visitors. Typically, they don’t have to wait long after putting a line in the water to start reeling in fish. It may not be houseboating season, but Rainy Lake’s beauty does not diminish when temperatures plummet. We encourage you to visit Voyageurs National Park in winter if you have the opportunity and experience a winter national park experience like no other. Learn more about the Voyageurs National Park experience to discover what makes this part of the country worth the drive.